SAN FRANCISCO, CA (3/18/13) - On March 14, the day before the Trustees at San Francisco Community College District handed in the report that may decide the life or death of California's largest community college, student and faculty marchers headed downtown to City Hall. A sinuous line of hundreds of chanting, banner-waving people stopped traffic on Mission Street, the main artery through the city barrio. Their mood combined equal parts of desperation at the prospect of the closure of the school, and anger and defiance at the kinds of changes that authorities are demanding to keep it open. Shanell Williams, urban studies major and president of the Associated Students at SFCC, told a rally at the march's starting point on the college's Mission campus that the required changes are part of a larger effort to turn students into commodities, and move towards the privatization of education. "Next year students will be affected by the Student Success Act," she warned. "Every student will have to have an education plan, there will be repeat limits, and a 90-credit cap on the Board of Governors fee waiver [that allows poor and working class students to petition to waive tuition fees]. Now is the time when they need more student services and support from the administration, but they're cutting part time counselors and taking other actions that will be even greater barriers." Closing San Francisco Community College became a possibility last spring when the Accrediting Commission for Community and Junior Colleges sent a team to San Francisco, as part of a 6-year accreditation cycle. The district, the largest public school system in California, had been warned earlier about deficiencies and knew there would be problems. With 85,000 students and 1650 faculty, and an annual operating budget of $200 million, SFCC had never been sanctioned. But under the impact of cuts in state funding, last year it had a deficit of $6 million. Excellent news. Teachers lay offs have declined. Only 2,900 teachers received these notices this week in time for the mandatory lay off notices. Less than 350 teachers received these notices in Sacramento county. How did this happen? WE – the voters- passed Proposition 30 and to a lesser extend Prop. 39 in the 2012 elections. If you didn’t vote- you did not contribute. Voting makes a difference. Working together we passed Prop. 30, to fund schools, universities and social services. This is a floor under austerity. It raises taxes on the rich to pay for services. It does raise sales tax by ¼ of percent – but 90% of the tax increases are on the rich . A tax of 1-3 % on those who make over $250,000 per year. Bad news The number of police officers is shrinking reducing public safety. This is happening as a result of government austerity programs. 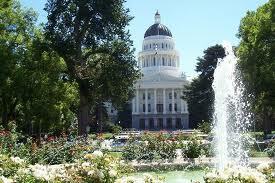 California, like many states, must produce a “balanced” budget. State governments use public tax money for police, fire fighters, teachers, park services, nurses, doctors, social workers and health assistants. The Republican campaign for austerity makes educators and students, as well as millions of others, the victims in a strategy to make the middle class and the poor pay for the excesses of the banking /economic crisis. California schools have just begun to recover from 4 years of extreme budget austerity and recklessness at the state level. It would take at least 3 years to return to normal. Now, the federal sequester will impose new cuts on school districts which receive federal funds- such as Title I, and Migrant Education. The vast majority of schools and districts will not be directly affected until the 2013–14 school year because of the “forward funded” nature of federal education spending. However, when children have less food to eat, don't receive their vaccinations and lack medical care, schools suffer. “The Sequester’s Beginnings. 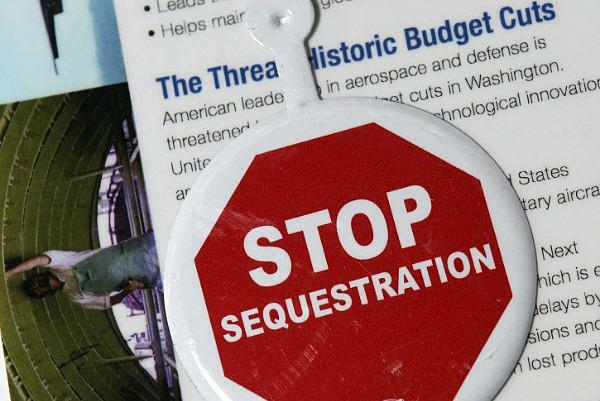 Congress included sequestration – or across-the-board cuts in all but a number of exempted programs – in its deficit reduction legislation, the Budget Control Act of 2011.